Many Pakistanis may not be aware that their country’s contributions to some of the most important scientific experiments and discoveries in the world did not end with the late Dr Abdus Salam, the only Pakistani ever to win the Nobel Prize in Physics. 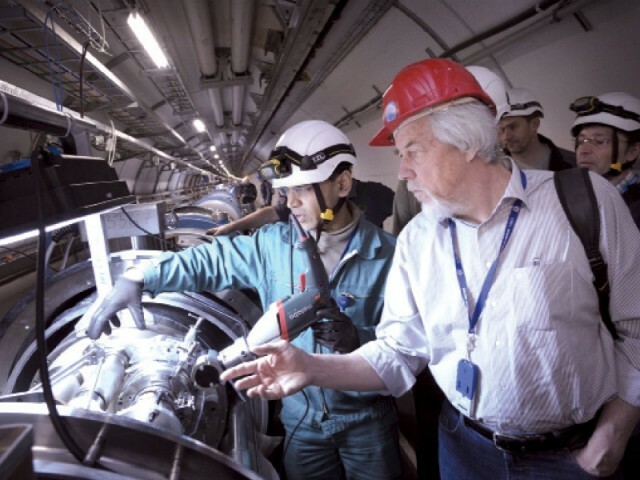 In fact, at the European Organisation for Nuclear Research (CERN), not only did electronics manufactured in Pakistan help in the detection of the Higgs boson, the elementary particle scientists believe imparts mass to all particles, Pakistani engineers and technicians are also currently participating in repairs of the Large Hadron Collider (LHC), the highest energy particle accelerator in the world. Pakistan’s collaboration with CERN, the world’s largest particle physics laboratory, first started in 1994 through the efforts of the Pakistan Atomic Energy Commission (PAEC), said Dr Hafeez Hoorani, the director of research at the National Centre for Physics (NCP) in Islamabad. The NCP became a part of PAEC’s collaboration with CERN after it was established in 1999. At present, the NCP is one of the hundreds of grid nodes in the world that receive scientific data from the LHC, which are being used by NCP researchers and students.